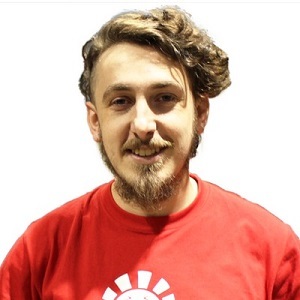 Recently, we had two Modern GPs (Liverpool / Portland) and I am going to give you my perspective on both of them, so if you have a Modern tournament anytime soon, you might want to stay tuned! Before I start let me tell you my personal opinion on Modern as a format. I like that Modern exists. It’s pretty cool that you can have your deck sleeved and ready to be played at pretty much any time of the year. Unless there is any banning in your own deck, the releases of new sets or the unbanning of some cards will never have such an impact that all the sudden your deck becomes unplayable. 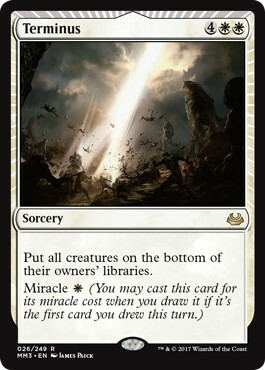 You might need to make an adjustment or two, but in general you will be good to go, pretty much like in Legacy, but with a much smaller entering barrier. This is great for the stores, for players and for Magic in general. You can also try crazy ideas and have some relative success with them. For example, a few months ago I was having a lot of fun with this Esper Spirits on Magic Online, falling short to the trophy (5-0) for a couple of times, until I moved on to trying make something work with 《Crackling Drake》 and 《Fling》, until I realized that 《Arclight Phoenix》 was the real deal (more on that, later). Modern on the competitive Magic is a whole different story. With the format being so open, there is just very little impact on your deck selection. Some matchups are just unwinnable and your fate in a tournament can be decided just on the pairings. Your sideboard has only 15 slots and it’s impossible to cover all your weak spots. 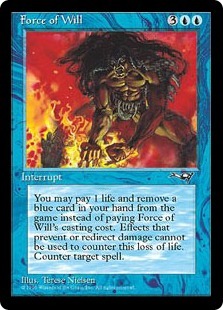 Also, without any 《Force of Will》 like effect, the die roll plays a huge role in many matchups, which is also something that competitive magic doesn’t really need to. A way to balance the die roll and/or to increase the number of sideboard cards would be my approach to make Modern more competitive friendly format, without having to go on a banning spree every single time they consider having it on the Pro Tour. If you have any other ideas I would like to hear them on the comment section down below, Wizards of the Coast has proved that they pay attention to the players opinions in the past, so don’t be afraid to use a channel like this to express yourself. 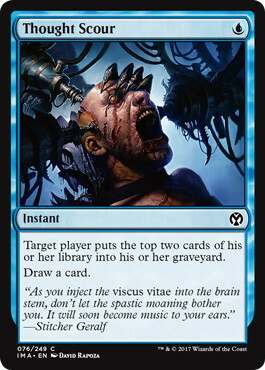 With that being said, the best mindset that you can have for competitive Modern is to play a deck that you enjoy and are used to play and just accept that some matchups you just can’t win. Try to get your edge on at least knowing well what you are playing and know your role on the different matchups. It is no coincidence that my Portuguese friends with the best results in Modern are Luis Gobern, that always plays Titanshift, Bernardo Santos, that always plays 5C Humans and Marcio Carvalho that always plays 《Hardened Scales》 Affinity. 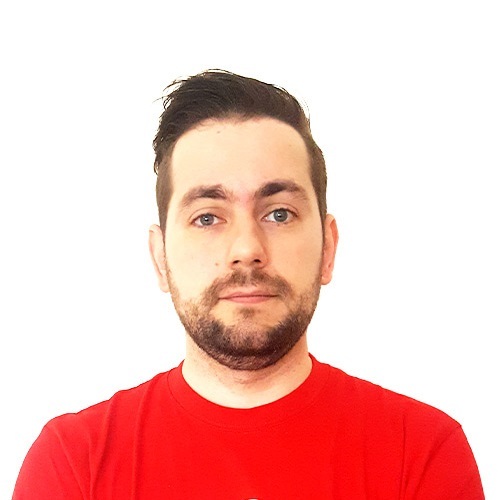 You also have the example of many Pros that do the same – Luis Salvatto (UW Control), Seth Manfield (Tron) or Piotr “kanister” Glogowski (KCI). No, Willy Edel (BG-X) is just stubborn. So, if you have a big tournament anytime soon, my best advice is stick with what you are used to, even if the last tournament didn’t go well, the next one will probably be better. 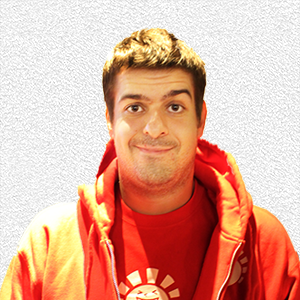 Let me start by giving huge props to the Spanish players in Liverpool. Last few years I started getting closer to this incredible community and it made me really happy to see how much they dominated this tournament. In the end my friend Marcelino Freeman and his Mexican team took the trophy home, but it just proved that the Latin players are one of the strongest forces in the Pro Magic scene right now (as if having the latest Player of the Year and World Champion was not enough). Both GPs were won by Grixis Death’s Shadow (Decklist: Liverpool / Portland) which proves that in Modern your deck never gets really out of date and a deck that many people seemed to have forgotten can raise any time and take down a big tournament. 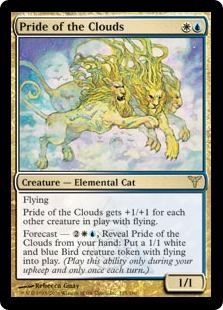 The two decks were running the same creatures and lands, having just some small differences on the mix of spells. Daniel’s sideboard was a bit more straight forward, but I believe it was mostly because of the team unified events allow you to predict the Modern Metagame a little bit better. I would probably pick Tyler’s list from Portland if I had to choose one to play. Next up is the new kid in town, Izzet Phoenix. I love this deck. I was trying to break it before, but it felt kind of awkward, especially after sideboard, where the hate cards really got the best of you. 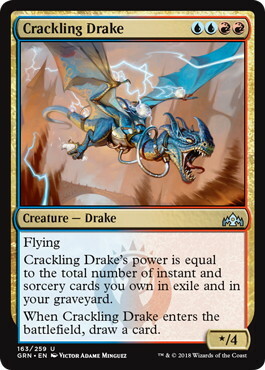 Though, Ross Merriam won the SCG Open replacing 《Bedlam Reveler》 with 《Crackling Drake》. This change is amazing. The deck does not rely on the graveyard as much as before, and I’m actually happy that in the tempo oriented matchups like Spirits or RB Hallow One, they bring in the 《Rest in Peace》/《Leyline of the Void》. 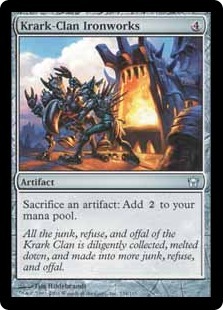 One thing that I can’t really get behind is why no one is playing 4 《Thought Scour》. It really bugs me that a deck that wants to play cantrips and put cards in the graveyard is not playing 4 of these. CharLy (Antonio Del Moral Leon) played the following list to a 7-0 day one finish with one unfinished match. Too bad that me and Louis couldn’t perform as well and lost the last one to not see him crushing day 2. In the end he told me that he would change the 《Ral, Izzet Viceroy》 for the 4th 《Crackling Drake》 in the sideboard, since 5 mana is not that easy to get on this deck. 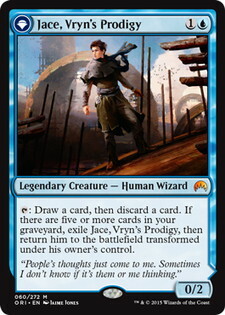 One thing that I tested before and was not very impressed with was 《Jace, Vryn's Prodigy》 that some decks were packing. I might give it another try. 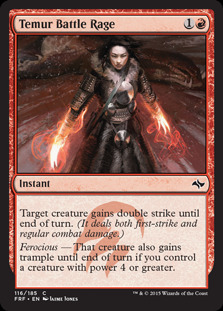 Lastly, I wanted to add that I really love 5th place Thiago Rodrigues main deck 《Temur Battle Rage》. 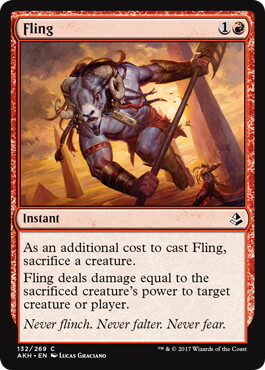 I can see myself trying that or going crazy and try 《Fling》 in that slot. Usually 《Thing in the Ice》 attacks uncontested at least once, so it can act like the double strike effect, without having to risk pulling the trigger. 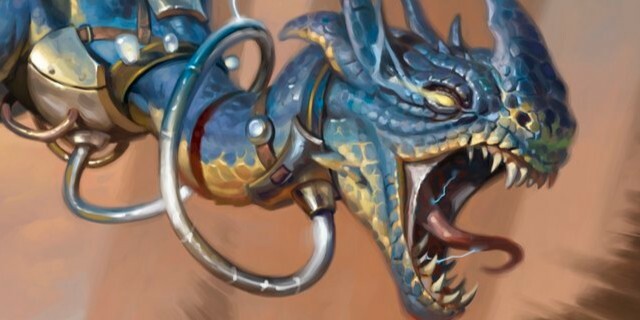 It can also act as a 《Lightning Strike》, with a 《Arclight Phoenix》 that is already going to return again, and it can make the dream of instakill with 《Crackling Drake》, #TheNewSplinterTwin. 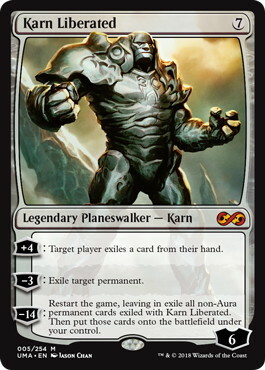 GP Liverpool had 3 KCI decks in the top4, I’m not going to waste anyone’s time talking about this deck, because the KCI master kanister wrote such a great piece on this deck that you can find HERE and I totally recommend you to take a look. This deck had more showing in Liverpool because pretty much every team was forced to play an 《Ancient Stirrings》 deck considering how strong that card is. The another 《Ancient Stirrings》 deck that stood out that weekend was Mono Green Tron. 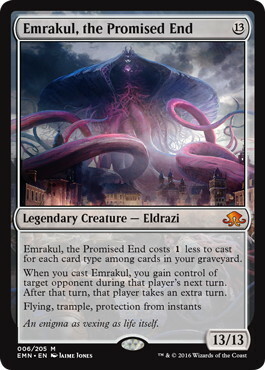 The two lists were again very similar and I like to see that 《Emrakul, the Promised End》 is becoming a staple in the sideboard. It is a really nice way to put a nail in the coffin of control decks with its ability of 《Mindslaver》 the opponents even if they are able to counter the big alien. 5C Humans and Spirits were absent from the American GP which is kind of surprising especially considering that Spirits took down the last two GPs. The 5C Humans deck in Liverpool used 3 《Militia Bugler》 in the 3 flexible slots and had the 4th on the sideboard, which is something that I am not a big fan. 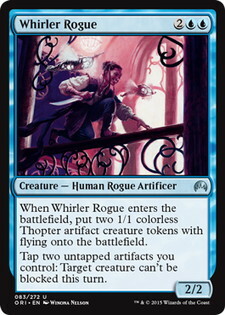 I have been really impressed with 《Whirler Rogue》, because it does a very good job grinding people out, just like 《Militia Bugler》 but also helps in some of the more tempo oriented matchups like Elves, Dredge and Spirits giving unlockable to the big 《Champion of the Parish》/《Thalia's Lieutenant》 or providing enough blockers to get an extra attack step for your side. I’d be more inclined to copy Bernardo Santos’ 9th place decklist with 4 《Reflector Mage》, 2 《Militia Bugler》 and 2 《Whirler Rogue》 in the sideboard. 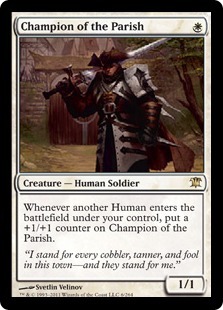 One thing that I really like is the 4 《Auriok Champion》 in the sideboard, and one that I might copy moving forward. 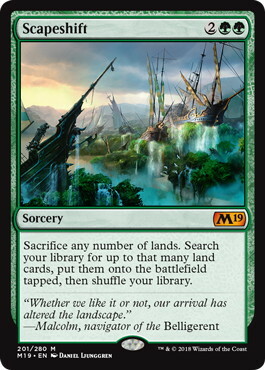 It has proven to be one of my best cards versus a surprisingly number of different strategies, like Dredge, Burn, 5C Humans and Death’s Shadow Decks. 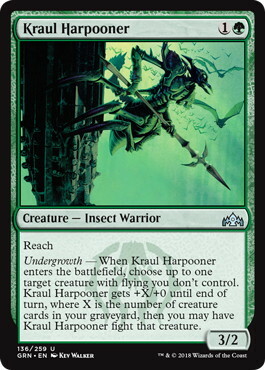 I played 2 spicy 《Kraul Harpooner》, which are very good against Spirits. For an individual tournament, I don’t recommend them, because the metagame is just too wide. But being teams, we expected Spirits to be one of the most represented and we decided to give it a try. It was okay. Lastly, I just want to give a shout out to Yuuta Takahashi for running UB Faeries deck to a top8 finish, after a 12-3 record in GP Atlanta 2018 proving what I said before about getting an edge in competitive Modern by playing a deck that you really know. 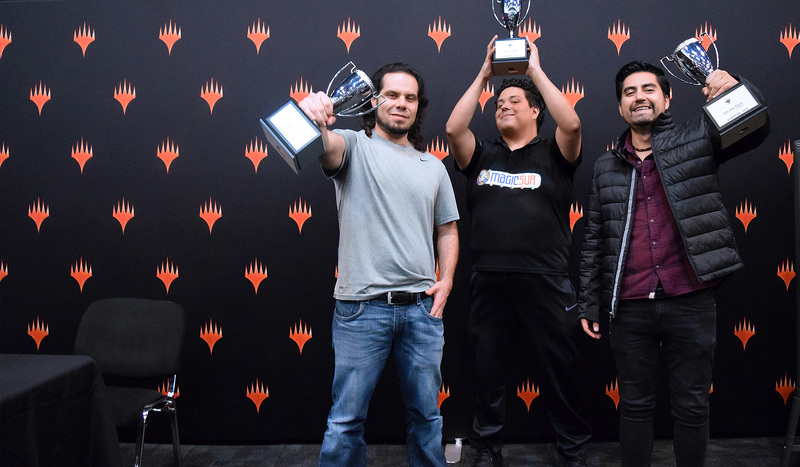 Marcelino Freeman and Daniel Ballestin are also known for always playing Bogles and UW Control respectively and I am sure that it helped them sequencing their cards in a timely manner.